We always talk about a good bowl of noodles. Now, how about a good BOX of noodles? 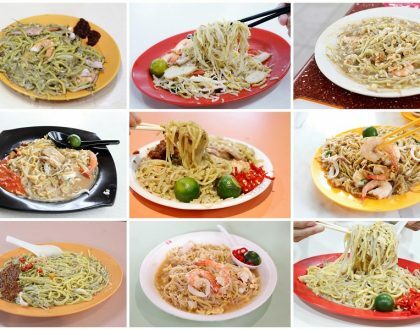 Take-out noodle or “mien” boxes are quite common in some overseas countries, though seldom seen in Singapore. 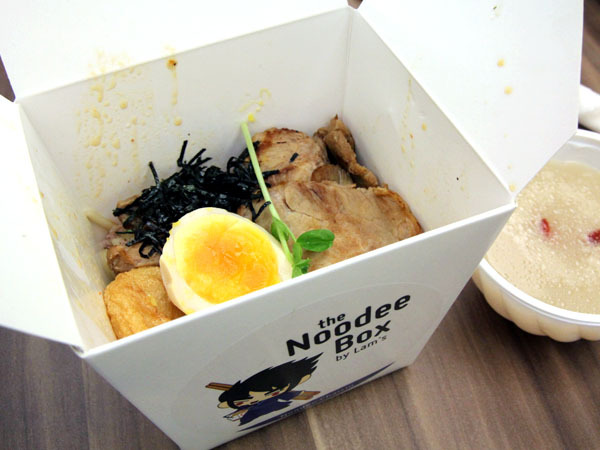 The Noodee Box, newly opened at Marina Square, offers ramen noodles packed in cute and convenient American-style take-out boxes, and this makes it easy for carry outs. Although it is fast-food in concept, there is ample seating area if you need to dine in comfort. 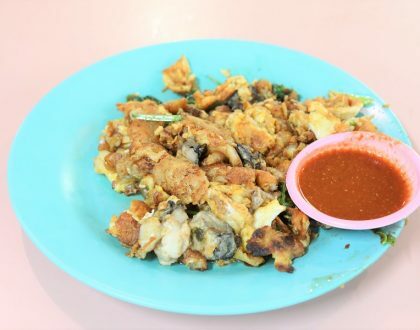 This new noodle concept is brought by Vincent Yap, whose father Ah Lam established the famous “Lam’s Abalone Noodle” sold at coffeeshops. 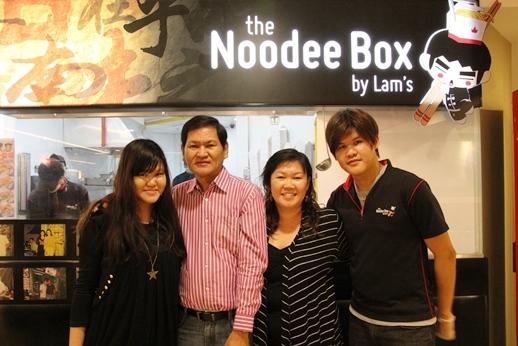 Some of the interesting noodles at The Noodlee Box include savoury Japanese char siew ($6.80), hickory smoked duck ($6.80) and abalone seafood grand ($11.80). I had the original dry ramen ($5.00) which was filled with a variety of ingredients such as char siew, minced pork, fishcake and Taiwanese sauce. Full Post at InSing.com – Want some abalone noodles in a box?